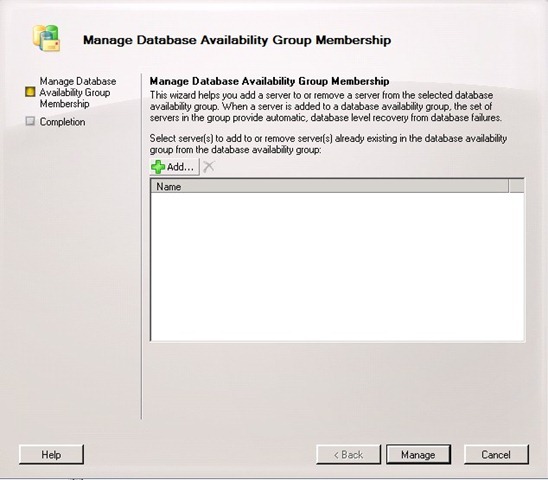 In Part 1 of this series, we went over the basic concepts of the Database Availability Group, or DAG, and then went into how to set up the Networking for the DAG. In this next section, we’ll cover how to create the DAG, and then add servers to that DAG. 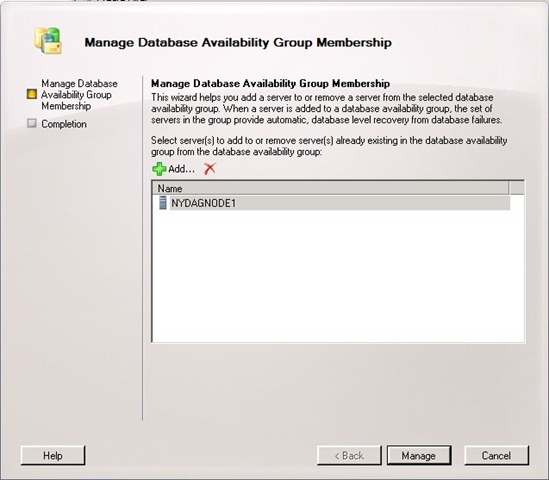 Database Availability Group Name – This is just the name of the DAG. 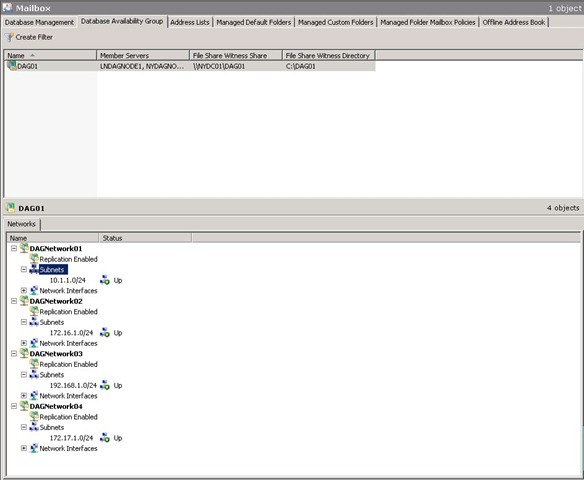 File Share Witness Directory – This is where the share is located on the server who is hosting it. It will be created for you automatically. Network Encryption and Network Compression we’ll leave at the default. Now, lets add NYDAGNODE01 to it. A couple things that should be noted. 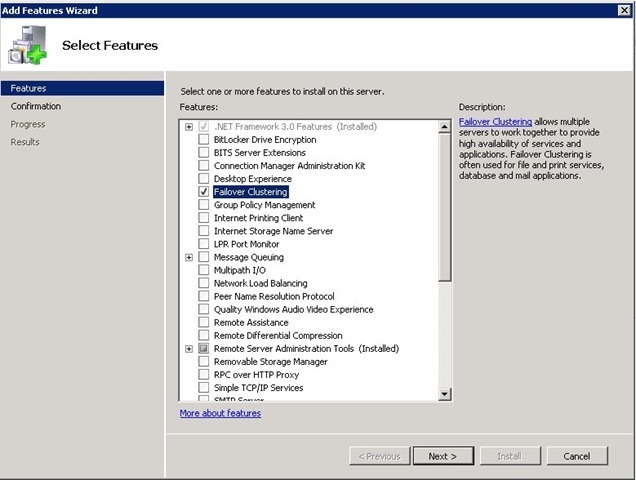 First, DAG’s utilize the Windows Server Failover Cluster feature to be installed. If when you go to add a node to the DAG, if this isn’t installed, the command will run it for you, it will just take a little bit longer. The second issue is that we are using the Beta release of Exchange 2010. There seems to be an issue with the Exchange Console, being able to remotely initiate the installation. To get around this when using the Beta, just make sure to install the Windows Failover Clustering Feature from Server Manager yourself on all the nodes. This will also help to speed things up. Now, select the green Add button, and then select NYDAGNODE1, and select OK.
You could now select manage. This would ensure the server had Failover Clustering installed, if it didn’t it would install it, and then add it to the DAG. It would also retrieve an IP address from a DHCP server. We won’t finish this, we’ll do it in the shell. The command is really simple. This will add the server NYDAGNODE1, to the DAG, DAG01 and assign the DAG IP address 10.1.1.3. If you note, there are now two Member Servers in the DAG, and in the bottom half of the screen, it notes the networks, and their status. Note, by default, ALL of the networks are configured for replication. We’ll configure this differently in the next part. In this part, we created a DAG, and added two members to this DAG. In the third part of this series, we’ll configure the replication networks, and create some database’s and set them up for replication!